With the march toward the USMTS Hunt for the Casey’s Cup title at the halfway mark, Johnny Scott has set himself up as the man to beat in the battle to become the 20th USMTS national champion and $50,000 richer. On Thursday night at the Nobles County Speedway, the 28-year-old from Las Cruces, N.M.—now living in Cameron, Mo.—bolstered his position as the leader of the pack with a thrilling victory at the semi-banked 3/8-mile clay oval in Worthington, Minn.
From the outside of the front row, Scott snagged the lead at the drop of the green flag with polesitter and 2007 USMTS national champ Jason Krohn of nearby Slayton, Minn., following close behind. With drivers from the front of the field to the back maneuvering all over the racing surface, the fans witnessed perhaps the best racing ever staged in the eighth running of the USMTS Summer Slam event. Scott paced the first 11 laps but lapped traffic impeded his progress just enough on lap 12 to allow Krohn to slip past and assume the top spot, but Scott recovered two laps later and regained the lead with 14 laps in the books. The third and final caution waved on lap 22, and Scott was never challenged from that point forward in winning by more than four seconds over Terry Phillips, who matched his best finish of the 2018 campaign while still in search of that first checkered flag. The $2,850 triumph was Scott’s sixth of the year but first at the Nobles County Speedway, and raised his USMTS career wins total to 36 and a tie with Jon Tesch for seventh on the all-time list. Krohn, who won here in 2011, settled for a third-place paycheck and Jake O’Neil improved from ninth to fourth in the 40-lapper, but the KSE Racing Products Hard Charger Award went to Ryan ‘The Reaper’ Gustin who finished fifth after rolling off 17th on the starting grid. Rodney Sanders, Lance Mari, Zack VanderBeek, Stormy Scott and Trevor Anderson rounded out the top 10 finishers in Thursday night’s blockbuster. FRIDAY: The touring USMTS titans return to the Brown County Speedway in Aberdeen, S.D., on Friday for the 3rd Annual Best Western USMTS Modified Showdown with Midwest Modifieds and BCS Pure Stocks joining the on-track racing party. 4. (7) 20 Trevor Anderson, Watertown, S.D. 6. (4) 19r Ryan Gustin, Marshalltown, Iowa. 8. (2) X Chris Moore, Madison, S.D. 5. (3) 10n Keegan Nordquist, Beresford, S.D. 6. (5) 5k Kyle Prauner (R), Norfolk, Neb. 7. (6) 27 Don Gerritsen Jr., Rock Rapids, Iowa. 2. (6) 23 Adam Kates, Tonganoxie, Kan.
3. (3) 2s Stormy Scott, Las Cruces, N.M.
4. (1) 57 Duke Erickson, Sioux Falls, S.D. 5. (5) 777 Aaron Krohn, Slayton, Minn.
6. (7) 18 Mick Glenn, Minnesota City, Minn.
7. (4) 9 Kent Arment, Aberdeen, S.D. 1. (2) 1st Johnny Scott, Cameron, Mo., VanderBuilt/Durham, 40, $2850. 2. (4) 75 Terry Phillips, Springfield, Mo., GRT/Durham, 40, $1825. 4. (9) 0 Jake O'Neil (R), Tucson, Ariz., LG2/Cornett, 40, $1000. 5. (17) 19r Ryan Gustin, Marshalltown, Iowa, Hughes/TriStar, 40, $600. 6. (8) 20 Rodney Sanders, Worthington, Minn., MBCustoms/Hatfield, 40, $795. 7. (10) 19sb Lance Mari (R), Imperial, Calif., MRT/Yeoman, 40, $450. 8. (6) 33z Zack VanderBeek, New Sharon, Iowa, VanderBuilt/Sput’s, 40, $690. 9. (11) 2s Stormy Scott, Las Cruces, N.M., VanderBuilt/Mullins, 40, $660. 10. (5) 20 Trevor Anderson, Watertown, S.D., Arrow/Victory, 40, $350. 11. (12) 4r Dereck Ramirez, Woodward, Okla., Hughes/Cornett, 40, $605. 12. (7) 69 Lucas Schott, Chatfield, Minn., MBCustoms/Hill, 40, $575. 13. (21) 9 Kent Arment, Aberdeen, S.D., Hughes/Mullins, 40, $275. 14. (3) 23 Adam Kates, Tonganoxie, Kan., VanderBuilt/Speedway, 39, $325. 15. (18) 5k Kyle Prauner (R), Norfolk, Neb., Razor/ChevPerf, 39, $250. 16. (14) 10n Keegan Nordquist, Beresford, S.D., Nordquist/Nordquist, 39, $200. 17. (16) 18 Mick Glenn, Minnesota City, Minn., Skyrocket/JRM, 39, $200. 18. (19) 8c Chris Clark, Jackson, Wyo., GRT/PerfAuto, 39, $250. 19. (13) 57 Duke Erickson, Sioux Falls, S.D., Dominator/Hansen, 39, $200. 20. (15) 777 Aaron Krohn, Slayton, Minn., MBCustoms/ChevPerf, 21, $200. 21. (20) 27 Don Gerritsen Jr., Rock Rapids, Iowa, Skyrocket/HarryHeads, 13, $200. 22. (22) X Chris Moore, Madison, S.D., GRT/Vetter, 2, $200. Lap Leaders: J. Scott 1-11, J. Krohn 12-13, J. Scott 14-40. Total Laps Led: J. Scott 38, J. Krohn 2. Margin of Victory: 4.670 seconds. Time of Race: 17 minutes, 38.828 seconds (3 cautions). Eibach Spring Forward Award: Gustin (advanced 10 positions). FK Rod Ends Hard Charger: Gustin (started 17th, finished 5th). 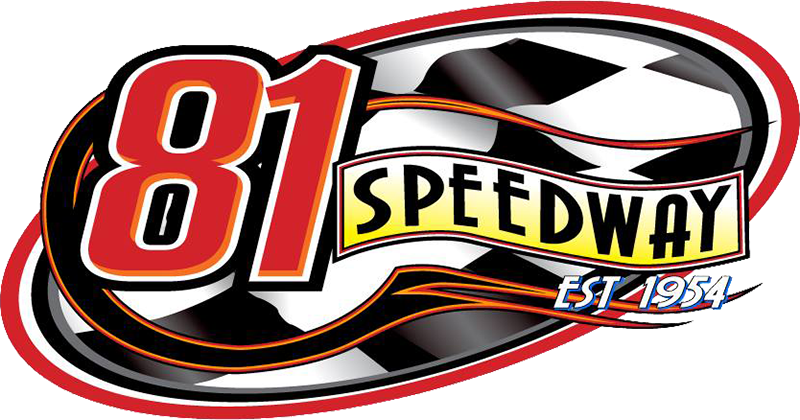 Next Race: Friday, June 29, Brown County Speedway, Aberdeen, S.D. USMTS Hunt for the Casey’s Cup Points: J. Scott 1746, O'Neil 1699, Sanders 1635, S. Scott 1592, VanderBeek 1591, Ramirez 1555, Schott 1553, Phillips 1540, Joe Duvall 1158, Kates 1080. Grant Junghans USMTS Rookie of the Year Points: O'Neil 1612, Carlos Ahumada Jr. 760, Zane Ferrell 692, Billy Vogel 610, Mari 607. USMTS Engine Builder of the Year Points: Durham 184, Sput’s 159, Cornett 151, Mullins 137, Hatfield 135. USMTS Manufacturers Championship Points: VanderBuilt 208, MBCustoms 201, GRT 150, LG2 147, Hughes 147. Casey’s General Stores – Anderson. E3 Spark Plugs – J. Krohn. FK Rod Ends – Gustin. Forty9 Designs – Kates, Erickson. Integra Shocks & Springs – Clark. Jerovetz Motorsports Racing Parts – Prauner. KSE Racing Products – S. Scott. Out-Pace Racing Products – Nordquist. Swift Springs – J. Scott, Anderson. Sybesma Graphics – J. Krohn. Wilwood Disc Brakes – Mari.